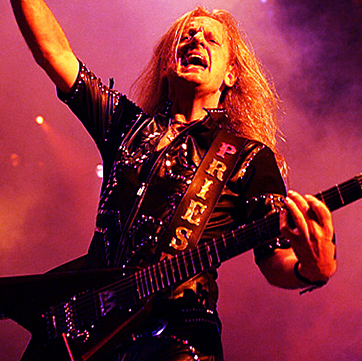 Kenneth "K. K." Downing, Jr. (born 27 October 1951) is an English Grammy Award winning guitarist, songwriter and a founder member of the British heavy metal band Judas Priest. He played guitar with the band for 40 years finally stepping away from the band before their “Epitaph” tour in 2011. During those 40 years Priest created several timeless metal anthems, from “Victim Of Changes” and “Hell Bent For Leather” to “Breaking The Law” and “Painkiller.” By 2011 Priest had sold over 45 million records worldwide. 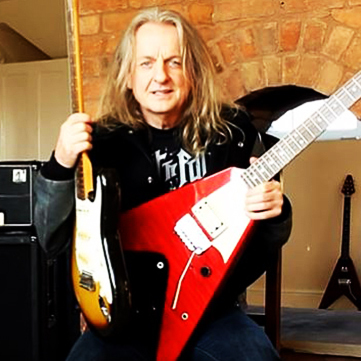 Downing with Priest’s other guitarist Glenn Tipton have set the standards for heavy metal guitar playing. Their distinctive guitar sound became a trademark in the field with K.K.’s more wild bluesy style perfectly complementing Tipton’s melodic output. Their classic twin leads and grinding riffs are one of the most played pieces in today’s young guitarists rehearsal rooms. 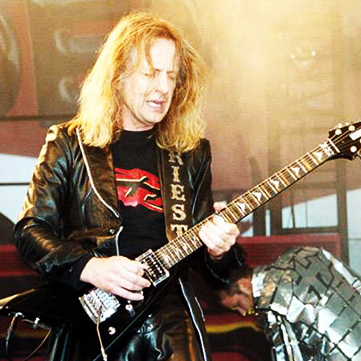 www.kkdowning.net for his full Bio.